When we hear puree, we often think of baby food. Rightfully so. Purees are a perfect first food for babies – and this recipe here is ideal for those just beginning to explore different flavor combinations. But purees can also be awesome for older kids and adults too. I love to make big batches of different purees and use half on their own and the other half stirred into sauces, added to pasta, mixed into baked goods, or depending on the flavor, made into a breakfast parfait. 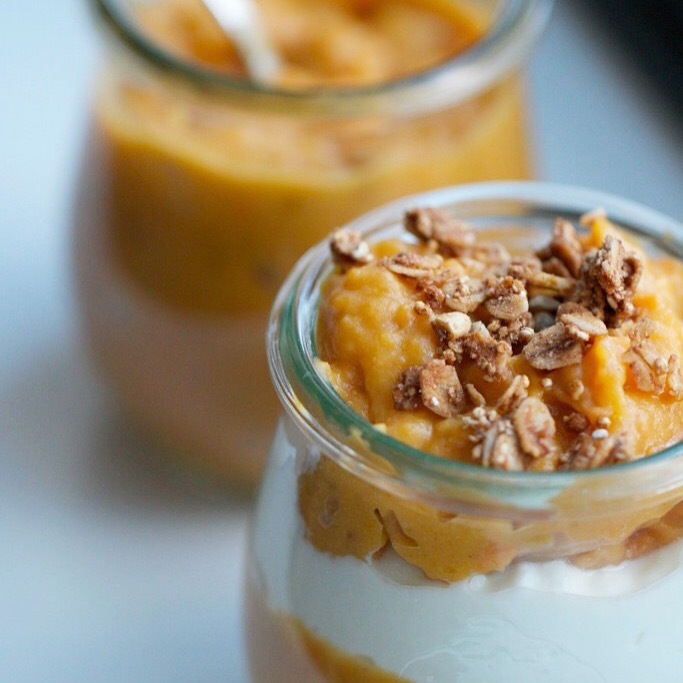 This mango, sweet potato, and apple combination is excellent when paired with yogurt. The flavors are bright, sweet, and fresh. 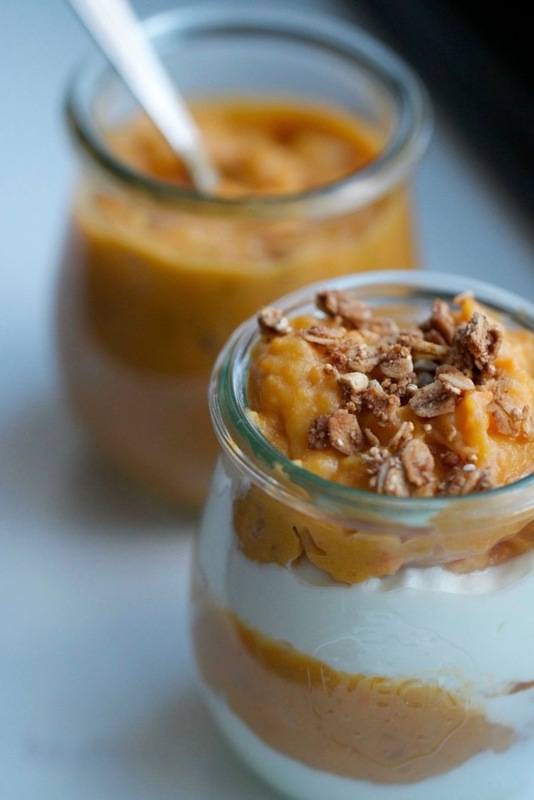 You can use any type of plain yogurt, but we like it best with Greek yogurt and a sprinkle of granola. Delicious on its own or served as a breakfast treat, this wintery puree is sure to delight those of all ages in your home. Preheat oven to 350. Line a rimmed baking sheet with parchment paper. Spread the mixture onto the baking sheet and roast in the oven until browned and tender, about 20-25 minutes. Scrape ingredients into the bowl of a food processor and puree until smooth. If you would like your puree smoother or thinner, add a tablespoon of water at a time until desired consistency. Hello would you mind letting me know which hosting company you’re working with? 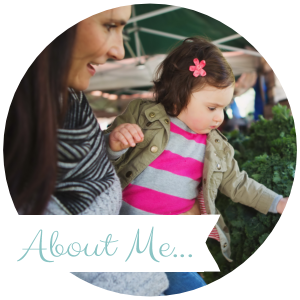 I’ve loaded your blog in 3 different internet browsers and I must say this blog loads a lot quicker then most.